Featuring 3 double bedrooms and 1 single bedroom. Villa Ioannos is ideal for guests that seek elegance and discretion. 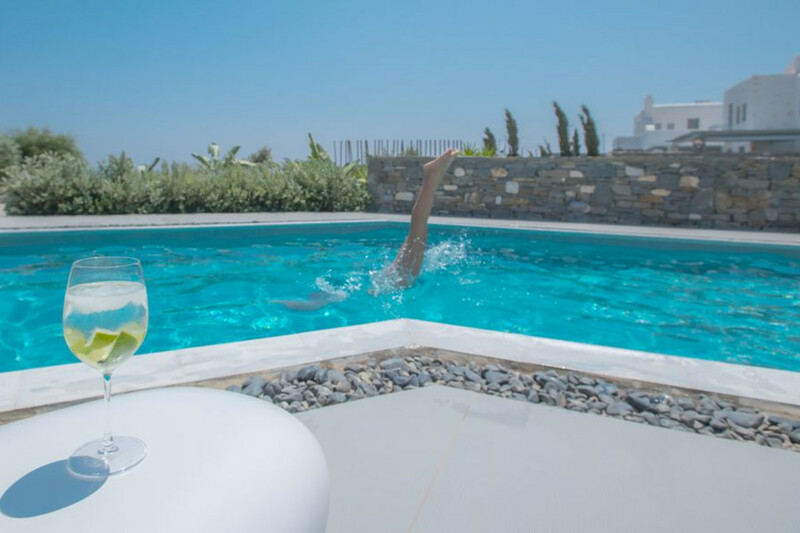 All beautifully appointed with contemporary furnishings and modern facilities offering unsurpassed view to the astonishing Cycladic coastline. A unique refuge for families and group of friends that invites you into comfort to a fantastic natural scenery from the edge of your pool! From its upper level bedroom balconies one can enjoy the breathtaking sunset views of the Aegean Sea. A ceramic-tiled patio, located at pool level, offers the ideal setting for al-fresco dining. Located at fashionable Golden Beach area, the villa offers quiet and relaxed surroundings.